The 2018 Ram 2500 will take up where the 2017 edition leaves off. It will also expand the line-up with diverse choices such as the farm-ready Ram Harvest and the date-night choice Ram Limited Tungsten. Other choices are more familiar to Ram fans, including the Power Wagon, a champion off-roader. The most significant exterior changes are noticeable on the Sport model which got a complete upgrade. Then there’s the dressy Limited Tungsten and the practical Harvest. Farmers will appreciate the new fold-out rear step that makes loading easier. They’ll also like the Harvest’s higher ground clearance, skid plates, and mud flaps. Ram 2500 trucks have proven themselves during the 2017 model year. The 2018 Ram 2500 continues this winning streak with a choice of two industrious powertrains. The standard is a 383-horsepower engine. It generates 400 lb.-ft. of torque to guarantee you can move your big loads every time. If you need more capacity, you can step up to the 6.4-liter HEMI V8. This best-in-class powertrain has established itself with 410 horsepower and 429 lb.-ft. of torque at the driver’s command. It even has cylinder deactivation to reduce highway fuel use. Top tow ratings peak at 17,980 pounds. An air suspension is offered on most models, and it is standard on the Power Wagon, Ram’s adventure machine. The 2017 Ram 1500 came in five trims: Tradesman, SLT, Big Horn, Power Wagon, Laramie, and Limited editions. Depending on your trim choice, you can get a regular cab with a long 8-foot bed, a Mega cab with the 6-foot, 4-inch bed, or a crew cab with either bed size. For 2018, Ram is introduced its dressiest version every. The new Limited Tungsten lets you relax in style with leather upholstery and fine amenities. The cabin, always nice at any level, has been upgraded for upscale living. You may forget you are riding in a truck. The extensive sound insulation keeps things quiet while the exclusive five-link coil spring rear suspension greatly improves ride quality. For your entertainment, the new 8.4-inch touchscreens have improved resolution. You can enjoy tunes via HD Radio or get more out of your system with Apple CarPlay or Android Auto. 4G LTE provides effective Wi-Fi which may come in handy at remote worksites or isolated campsites. The new Fleet Telematics System can be used to monitor your drivers’ locations and keep tabs on engine needs. It is certainly a good way to make the most of your Ram business purchase. Ram puts an emphasis on your safety, packing the cabin with airbags and other precautions to protect you and your passengers. Crumple zones allow the body to absorb force and keep it away from the cabin. A rearview camera is now standard across the lineup, keeping the truck out of harm’s way when in reverse. If you are stranded, you’ll appreciate the new Sirius Guardian. This adds an SOS call for a wreck and a roadside assistance feature if you have a flat tire or other emergency. It can track your vehicle if it should be stolen. 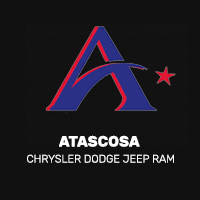 Come discover the 2017 and 2018 Ram 2500 models at your Atascosa Ram dealer. Let us help you match your hauling needs to the right truck.